Outgoing Red Bull driver Mark Webber reckons that the top four teams could pull away from their rivals under the new technical regulations for 2014. Webber, who will race for Porsche in the LMP1 category next season, reckons that the new regulations were necessary to maintain Formula 1's prestige. 1.6 litre turbo V6 'power units' will replace the current V8 engines. "I think Formula One needed a bit of a facelift in terms of technology, which they’re going to get next year," he said ahead of this weekend's Indian Grand Prix. "Maybe it’s not what we all want in terms of all the electric stuff and those type of things but that’s the way all the manufacturing and all those types of things are going in terms of car production, so Formula One should be the benchmark in terms of rolling that stuff out." "How it’s going to go in terms of a spectacle only time will tell. I’m sure it’s going to be good. The main thing with Formula One is the drivers, the drivers are the important thing." "You can have what cars you want but if you’ve still got the best drivers out there then that’s the most important thing. But in terms of sports cars and Formula One, obviously the technology is going to be very similar. 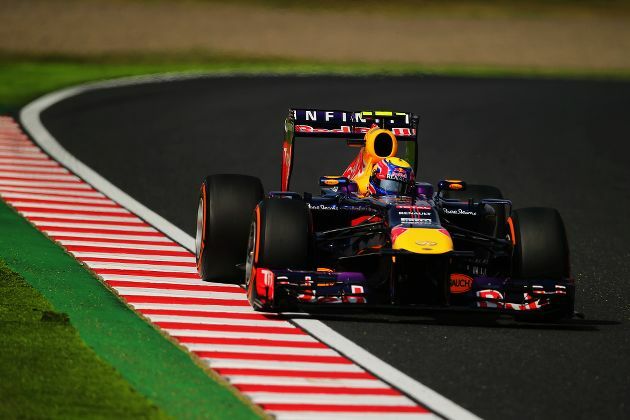 Sports cars now are super technical as well as Formula One will be next year." Webber added that the smaller teams will be stretched. "As long as the smaller teams can have a chance, I think that whenever you make a big regulation change like we are going to do next year, the midfield and the smaller teams are really going to be stretched, so I think that the gap between Mercedes, Red Bull, Ferrari, McLaren maybe is probably going to be bigger."